You’ll find us at The Old House at Home in the heart Blakedown village or our newly refurbished pub, The Hare & Hounds at Shenstone. We guarantee great value pub food and excellent customer service. 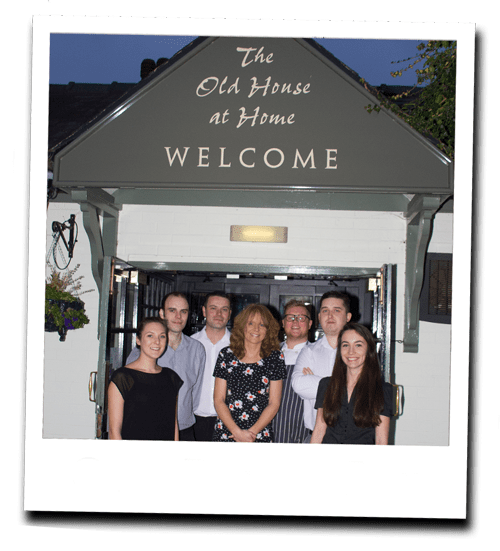 The Old House at Home is owned and managed by brothers Oliver and Alastair Brookes who took over in 2013 and are supported by a team of staff who worked together for many years at Oliver’s former pub in Halesowen, before moving to Blakedown. Our staff team have a combined experience of over 50 years in the trade. We offer a varied menu with many main meals two for £10 and over 20 daily specials. We also offer a good selection of wines and real ales, including our own brand Old House Bitter. The Hare & Hounds is situated on the main A450 between Kidderminster and Stourbridge. We have three rooms and an extensive outdoor garden area with play equipment and a large car park. We cater for drinkers, diners and families alike and are able to host small meetings. The Old House at Home is ideally located on the A456 and is close to attractions including West Midlands Safari Park and the Severn Valley Railway. The pub is also surrounded by the North Worcestershire countryside and is an excellent starting point from which to enjoy many of the local country walks.